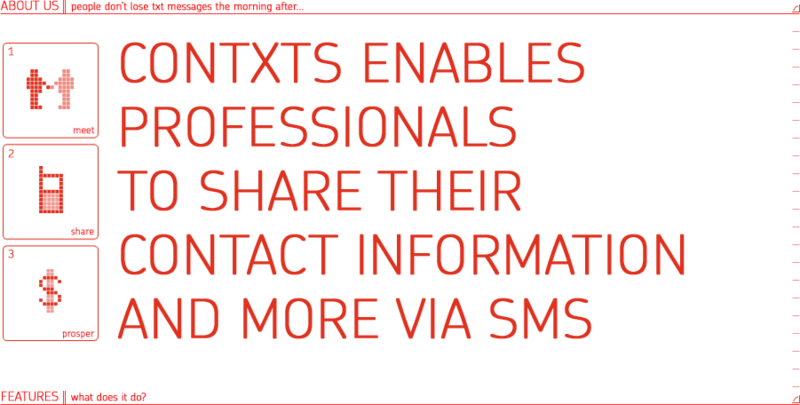 Contxts is so much more than a professional social network. It's a way to make meaningful connections while out and about. Business cards are so 2007. What with the environment in shambles do you really want to be that guy who is handing out chopped up pieces of bleached trees? We here at Contxts.com think that our site will solve this problem and more. By using SMS, built into every mobile phone, you can easily and rapidly distribute your credentials.